Filipinos love to tour and travel. We always wanted to experience more and explore more that we see everyday in our own concrete jungles. We wanted to have that extra feeling of satisfaction and happiness with having to visit the beautiful landscapes of the Philippines. Most of the Filipinos wants to explore the Philippines that going to other countries. I personally believe that its better to see what your country has to offer. 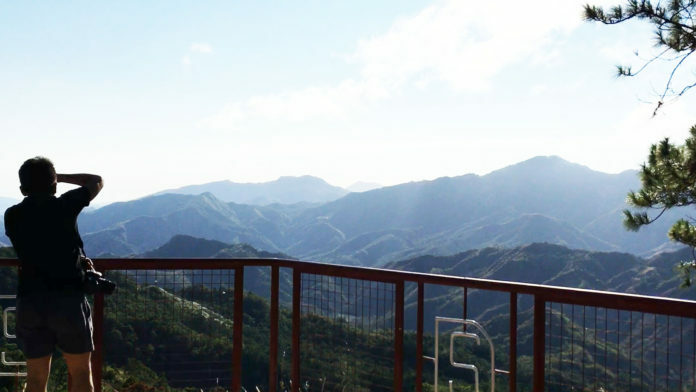 The province of Abra may not be one of the top destinations to think of when planning a vacation or tour. We always wanted to go to places that has been featured in movies like Sagada and Siargao. But what you do not know is that Abra is becoming one of those late blooming places where you can have peace and relaxation. Bacolod isn’t just the City of Smiles. When I got the chance to visit Abra, I noticed that people do not stop on smiling at each other. We experienced a warm welcome from them. We attended this years CARAA sports event at Bangued, Abra. time to call it a day. 😊 50m – ranked no. 1 (gold) 60m – ranked no. 1 (gold) 30m – ranked no. 1 (gold) #CARAA2018 #CARAAbra #Archery #proudtita. 💙 distance/events tomorrow (Feb. 6): 70m, olympic round, mixed and team event. It has been 17 years since Abra took the hosting for this big event. Going to the event, I can see that they made sure that they are ready and capable to accommodate all of the delegates from the different provinces of Abra. Celebrating Cultural Diversity was their theme for this year’s athletic competition. The opening ceremony became the night of celebration as they filled the sky with fireworks and music. The athletes danced their hearts out while looking at the fireworks. They can almost touch it with their bare hands. Abra Governor Joy Bernos told us that they are ready to open Abra for the Filipino travelers for them to see what they can offer. Bangued is the capital city of Abra. They highlight the beautiful Victoria Park on top of the city hill. Here you can walk around the park with your friends while looking at the sunset. Speaking of sunsets, one of the most beautiful sunset view in the Philippines will be found at Danglas, Abra. From Bangued, it took us 30 minuted to reach Danglas peek. This was the newest attraction that Abra will open to the public. I was lucky enough to experience the beauty of Danglas mountain peek. I actually thought that it will just be windy at the peek but I was wrong. After I opened the door of the van, we are welcomed with a 17 degree temperature and strong wind which you will find very relaxing. I was overwhelmed by what I saw. I thought I was in Switzerland with all the beautiful mountain ranges that I see. The tourism officer also told me that it was actually colder there than Baguio because we are at a higher altitude range. I just sat at the grass for two hours. While I’m sitting and looking at the gorgeous view, I only felt joy in my heart. I just enjoyed the beauty of the Danglas mountain. There are really so much more that we can offer. It’s really more fun in the Philippines.